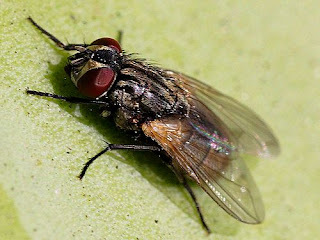 True flies are insects of the order Diptera (from the Greek di = two, and ptera = wings). 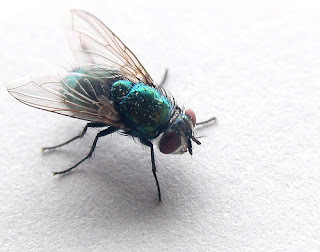 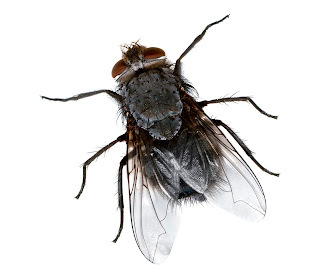 Their most obvious distinction from other orders of insects is that a typical fly possesses a pair of flight wings on the mesothorax and a pair of halteres, derived from the hind wings, on the metathorax. (Some species of flies are exceptional in that they are secondarily flightless). 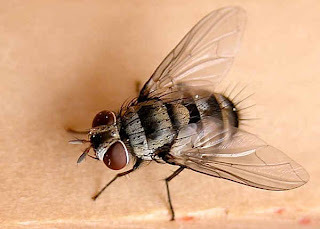 The only other order of insects bearing two true, functional wings plus any form of halteres are the Strepsiptera, and in contrast to the flies, the Strepsiptera bear their halteres on the mesothorax and their flight wings on the metathorax.